Can U2 Be Cool Again? U2 has something in common with its corporate partner Apple: they both make a lot of money. And they both struggle to be cool. U2 earns gigantic paydays with high-profile concert tours that appeal to its Baby Boomer fan base. According to Forbes, U2 was one of the highest paid musical acts of 2016 based on the success of its latest tour, Innocence + Experience, which earned $55 million. But the band’s songs have barely put a dent in the Billboard charts throughout the 2000s (how many U2 songs from the 2000s do you listen to regularly?) and U2 has become joined at the hip with Apple, a brand that has been about as exciting as vanilla ice cream since Steve Jobs passed away. U2 wants to change that perception. In 2017, U2 will hit the road for a tour that will celebrate the 30th anniversary of The Joshua Tree, thus introducing one of the group’s coolest works to the digital generation. Reportedly the tour will include an appearance at Bonnaroo, one of the key music festivals for establishing credibility and coolness with digital natives and millennials. And for entertainers, especially musicians, being relevant to the present-day generation of tastemakers (digital natives and millennials today) is important to being cool. Led Zeppelin is cool. Chance the Rapper is cool. Coldplay is not cool. U2 defined cool in the 1980s and 1990s by making music with bite, emotional depth, and boldness. 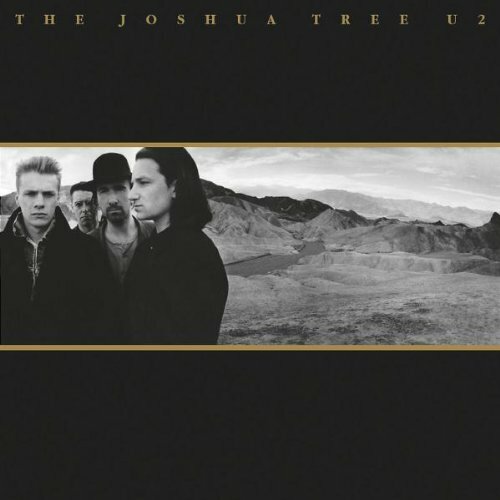 Throughout the 1980s, U2 was the defiantly soulful and socially conscious alternative to the synth-heavy sound of the second British invasion, and The Joshua Tree demonstrated that you could be spiritual and cool at the same time. In the late 1980s, U2 suffered a temporary lapse of coolness during the Rattle and Hum tour, when the group’s pious tendencies turned into messianic self-indulgence. But U2 regained its equilibrium by recording experimental, edgy works such as Achtung Baby, Zooropa, and Pop. Even if those albums were not always critically successful, U2 was challenging and pushing its audience in new directions. But in the 2000s, starting with the release of All That You Can’t Leave Behind in 2000, U2 committed the Johnny Cash mistake of settling into a comfort zone — in U2’s case, by churning out straightforward pop songs, all of which have pretty much sounded the same. According to U2: The Definitive Biography, by John Jobling, the commercial success of All That You Can’t Leave Behind helped U2 emerge from a financially troubled time — which might help explain why U2 has tried to repeat that album’s formula ever since, resulting in music that no longer resonates. Since The Songs of Innocence debacle, U2 has continued to struggle with a perception of no longer mattering. In 2016, U2 offered to play a private concert as part of a promotion for (RED), which Bono cofounded to eradicate AIDS in Africa. The private concert promotion on Facebook has inspired plenty of laudatory comments from fans, but you don’t have to search very hard to notice the snarky pronouncements proliferating among the fan reactions, such as “I wouldn’t open the curtains if you were playing in my back yard. And don’t foist your mawkish MOR noise on my iPod ever again either while we’re at it!” (via Facebooker Cathy Smith). Maximize the value of The Joshua Tree. Digging into the past is a wise move, as Guns N’ Roses proved through its successful Not in This Lifetime tour, which reestablished GNR’s relevance in the digital age. Playing at Bonnaroo would be a start. U2 should also hit the millennial music circuit with stops at venues such as Coachella and Lollapalooza. Surprise shows at smaller millennial-friendly gigs would help U2 connect on a more personal level with younger generations of fans. Unleash The Edge. As a standalone figure, The Edge is way cool. (Check him out as he slays the guitar in It Might Get Loud.) I’d create a stronger narrative about his status as one of the great guitar gods, through advertising, social media posts, and music trailers promoting the upcoming shows. Putting a bigger spotlight on The Edge as the great guitar innovator that he is would demonstrate that even if U2 has not always progressed musically, he’s always been on the vanguard of guitar, similar to the way Slash has symbolized all that is good and cool about GNR. Be visible in the right places. The band’s takeover of The Tonight Show Starring Jimmy Fallon in 2015 reminded the world of how funny and cool U2 could be. Jimmy Fallon is the kind of personality whom Baby Boomer musicians cozy up to in order to be relevant. U2 has plenty more opportunities to shine in the right shows, especially via digital — how about Bono appearing on Carpool Karaoke, for example? For rock and roll acts, growing older does not mean losing your coolness quotient, as AC/DC, Guns N’ Roses, and Neil Young have demonstrated. But you do have to state a case for your relevance when you continue to play music for decades, as I’ve discussed on my blog. By announcing a series of shows celebrating The Joshua Tree in 2017, U2 has taken a step in the right direction, as The Joshua Tree will never grow uncool. But will U2 create new music that resonates in 2017? This entry was posted in Music and tagged (RED), AC/DC, Apple, Bonnaroo, Bono, Coachella, David Deal, Guns N' Roses, Jimmy Fallon, Lollapalooza, Songs of Experience, Songs of Innocence, Superhype, the Edge, The Joshua Tree, U2. Bookmark the permalink. 6 Responses to Can U2 Be Cool Again? As usual you have captured it. All acts age. The great acts evolve. U2 may have become a bit too comfortable in their successful skin as you note and rightfully align it with Apple. Time to reset the horizon. Thank you, Steve. So far my informal survey of friends around the dinner table has elicited a lot of head shaking and \”They\’ll never be cool again\” comments. For those of us who remember \”Boy\”, \”October\”, \”War\” and \”Under A Blood Red Sky\” (not to mention numerous live concert bootlegs), we also remember that \”The Joshua Tree\” really sucked. I think the best concert I ever saw was* U2 @ Tower Theater in Philadelphia during the War tour. Bono threw himself backwards into the crowd, they passed him overhead for almost a minute as he sang, then passed him back onto the stage. It all started going south with \”The Unforgettable Fire\”. I only listen to the 1st three, because those are the only U2 albums with heart. Thank you for weighing in! I do remember the band\’s earlier works . . . we need to agree to disagree about \”The Joshua Tree.\” 😉 PS: I was fortunate to meet Laurie Anderson and have her perform for a private corporate event. She was very warm and gracious, with zero pretense about her. She really challenged the audience with her performance art as I had hoped she would. my point was, if they really want to recapture the magic, they should return to the beginning when they were still hungry. they were most certainly no longer hungry by album #5 (and it has showed for years). It\’s like Sting advocating for conserving natural resources, while having six kids. authenticity is easy to lose and impossible to regain. Indeed, I think they lost their hunger, too, just later in their career than album #5. Anyway, those older albums sure do have some fire in them. I do admire Bono\’s commitment to effecting change through his actions outside the music industry, even if band\’s music does not inspire me like it used to. Cheers!